At this point, its hard to find a big name actor in Hollywood who hasn't appeared yet in the MCU. It almost feels hard to believe that at all point during the making of all these movies, the studio never called up a mega star like Angelina Jolie for one for their films. Well that time has finally come, as they are hoping the actress will lead their latest project The Eternals. Based on characters from the comics and a part of Marvel mythology that isn't exactly common knowledge, it makes sense that bringing a box office draw like Jolie as the first member of the cast will peak the interest of movie goers worldwide. Its unknown who exactly Jolie will be playing, but its rumored she may be playing one of The Eternals same Cersi. The movie has been described by THR as a love story between the characters Cersi and Ikaris (A man fueled by cosmic energy). Cersi apparently wants to live among humans, and this conflict is a focal point of the movie. Jolie certainly seems to fit the mold of the character, especially if its as important of a part as the report makes it seem. This will be a return to Jolie's days of big action blockbusters, and her first role in a comic book movie since Wanted. 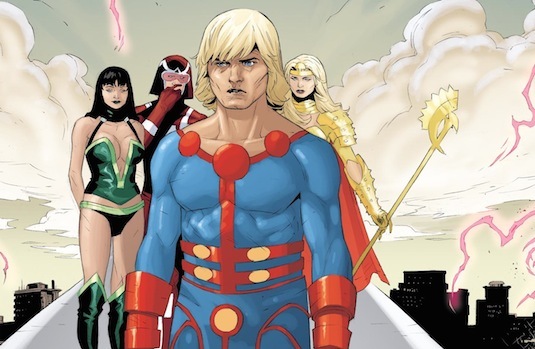 The Eternals is certainly a challenging property for Marvel to take on, but one Kevin Feige seems to be very excited about for Phase 4. Having Jolie's name attached will definitely help sell the movie to audiences skeptical of its concept or completely unfamiliar with these characters. In the comics they are basically gods who are created by the cosmic entities The Celestials, and include several different members. In many ways this seems to be Feige's answer the the Inhumans movie he had planned was never able to make, focusing on a lesser known group of super powerful beings.The movie already has a director in Chloe Zhao (The Rider), and will probably be one of Marvel's planned releases next year alongside their Black Widow movie. Little else is known about the movie as of right now, but rumors have been swirling that movie may feature the first openly gay character in the MCU. While this could be a male or female in the movie (And may even be Jolie's character), MCU Cosmic reports it will be Hercules. 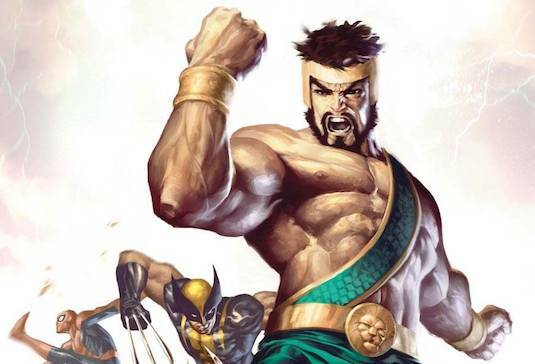 They suggest Hercules will actually be the male lead of the movie, and like Thor is a god as well in Marvel comics. There's been a lot of buzz around actor Luke Evans (Beauty and the Beast), who is openly gay himself, taking on this role as he's actually been heavily rumored to star in the movie. 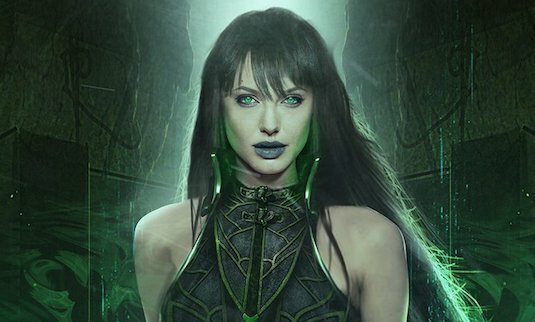 So does Jolie's casting excite about The Eternals movie? What character would you like to see her play? Would you be happy to see Luke Evans play Hercules? Let us know below!